Why not extend your visit at the Museum with a gourmet snack ? You will find a tea room right in the middle of the Museum for a most pleasurable tea time. You can gain access directly without visiting the Museum and spend an exquisite time at the Tea Room of the Museum, just a few minutes from Strasbourg. 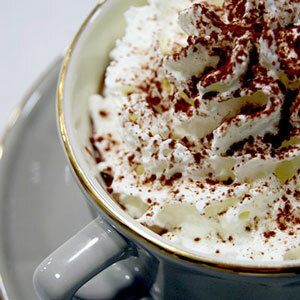 Find the Museum's same warm atmosphere and chocolate fragrance in the Tea Room and enjoy a moment of sweet relaxation. Take the menu and let it take you where you sweet desires lead you. 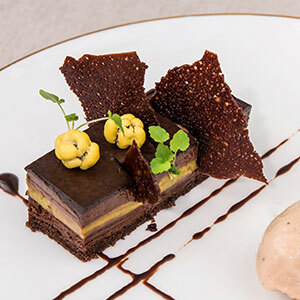 Below you will discover some of the delicacies that await you at the Tea Room. 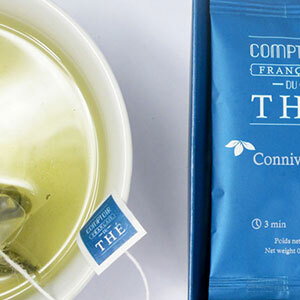 For our selection of teas we have chosen to share with you the creations of the Comptoir Français du thé, that you can also find at the shop of the Museum after your gourmet gateway. You can enjoy the tea room during afternoon opening hours of the Museum') from 2pm to 5pm, from Tuesday to Sunday (excluding unscheduled closure).